Professor Ursula F. Ott has joined Nottingham Business School to contribute to the research culture. She is the Head of the International Business, Strategy and Decision Making Research Group. Before joining Nottingham Business School, she was in academic and research positions at Kingston University London, Loughborough University, the London School of Economics and the University of Vienna. She has a PhD in Economics and Social Sciences from the University of Vienna. Ursula Ott’s research and teaching interests comprise strategic and interactive decision making in international organisations, collaborative relationships across culture and international negotiations. 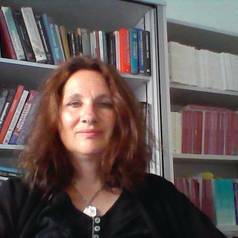 Her publications appear as books and in leading journals (Journal of International Business Studies,Journal of Management Studies, Organization Studies, Journal of Business Research, International Business Review, Sociology, International Negotiations among others). She has won Prizes and Best Paper Awards at major international conferences for the analysis of international negotiations with a game theoretical and configurational approach. Her research received funding from major research bodies, such as the British Academy, Leverhulme Trust, Engineering and Physical Science Research Council (EPSRC), Austrian Science Fund (FWF - Erwin-Schroedinger-Grant and Charlotte-Buehler-Grant), Dr.-Schaumayer Fund and Austrian Ministry of Science and Research. Over many years, Ursula has presented competitive conference papers at the leading Annual Conferences in International Business, Game Theory and Negotiations. She was invited speaker in research seminars at the London School of Economics and Political Science, University of Cambridge, University of Manchester and Oxford University. Ursula F. Ott has successfully supervised, taught and examined PhD students who went on to have positions in academia and industry. She is a Fellow of the Higher Education Academy (FHEA). She has designed and acted as module leader for Undergraduate modules, MSc modules, MBA modules and PhD Research Design training. Her research has an impact in industry and politics due to her expertise in International Negotiations and Cooperation. Her current projects are on Brexit negotiations and cultural profiles of Global Managers.